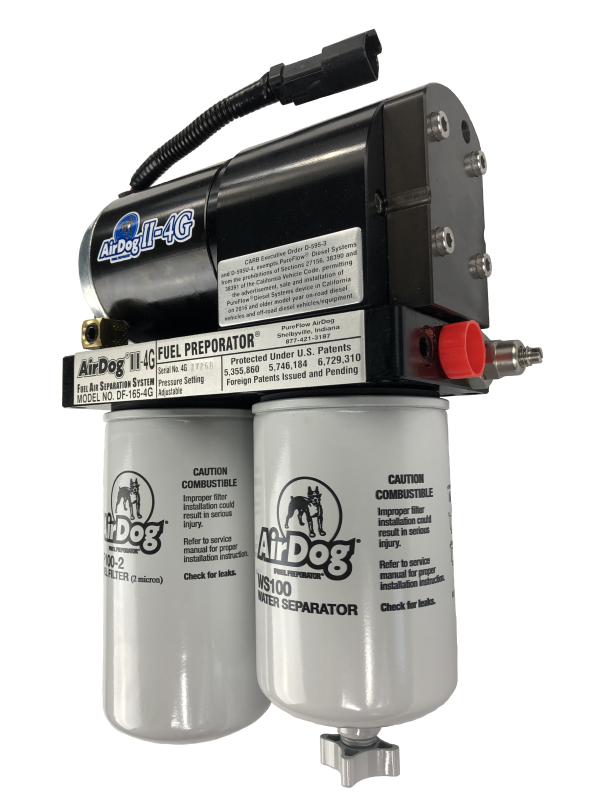 This is the AirDog II-4G DF-100 fuel system for the 2005 and UP Common Rail Cummins. 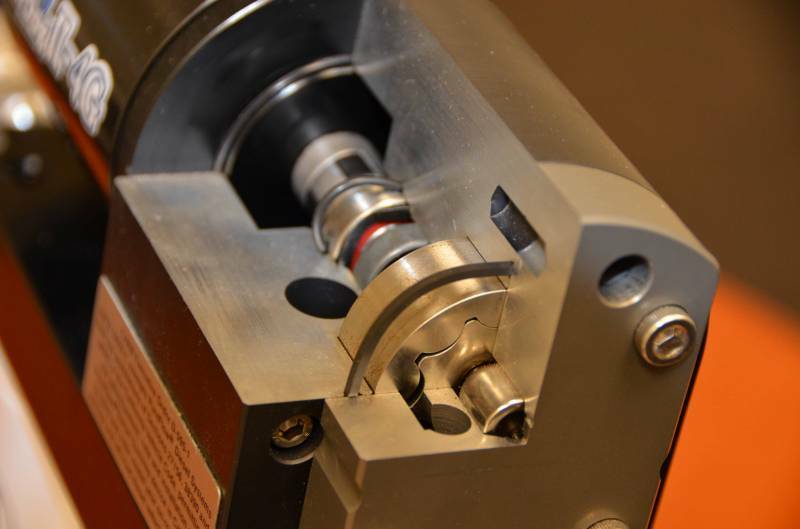 This system mounts to the frame rail using the supplied sandwich plate mounting system. 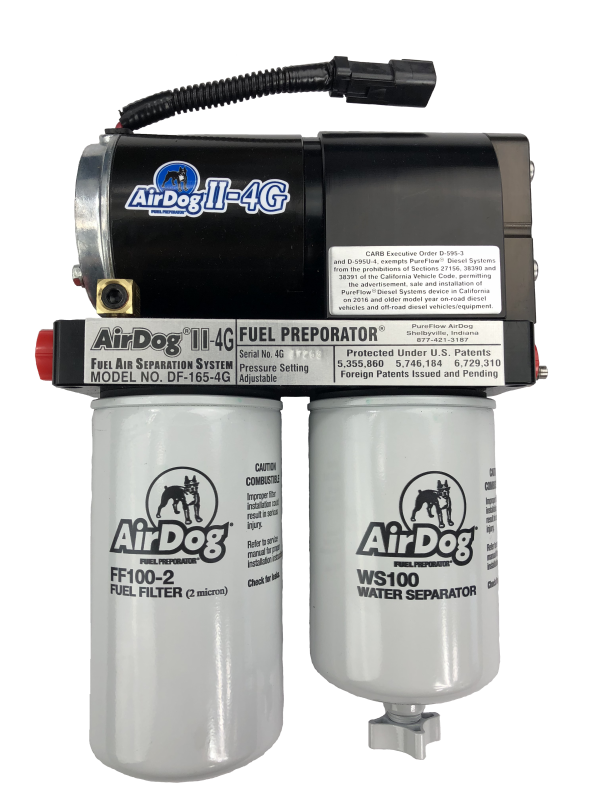 A Fuel Module Upgrade Kit is installed in the factory fuel basket to pull fuel through a factory-style 1/2" bulkhead fitting. 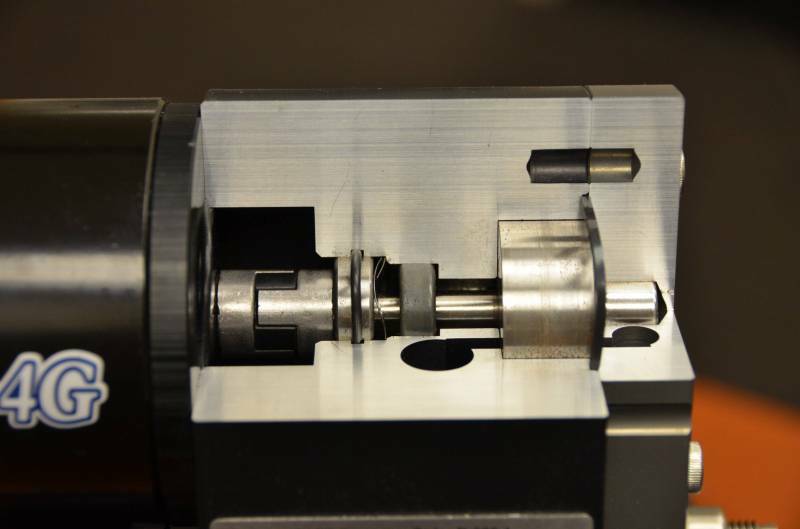 This will bypass the factory in-tank lift pump. 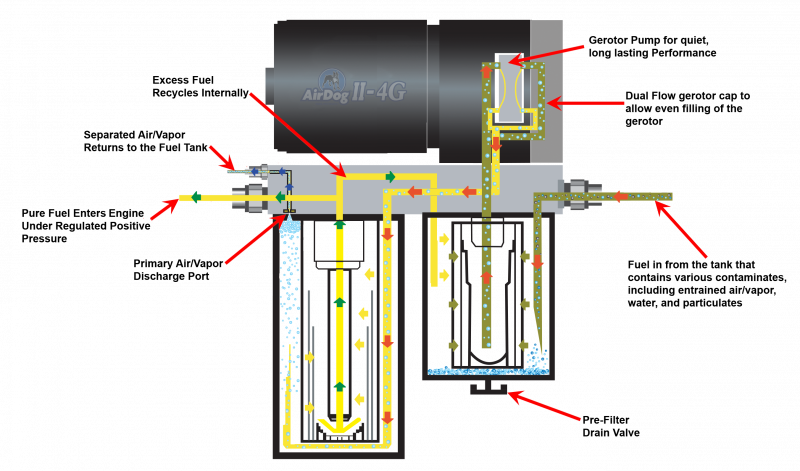 The pressure side connects directly into the side of the injection pump, bypassing the factory fuel filter housing. 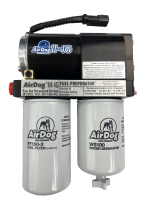 The AirDog Air/Vapor return is sent back to the tank through the factory 3/8” suction line once the module is modified. 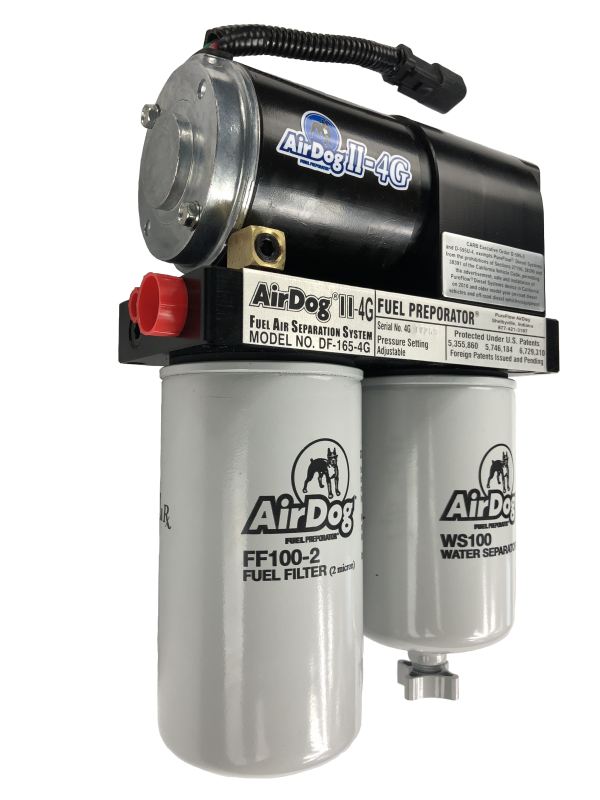 This is a 100GPH (Gallon Per Hour) fuel system for stock fuel trucks. 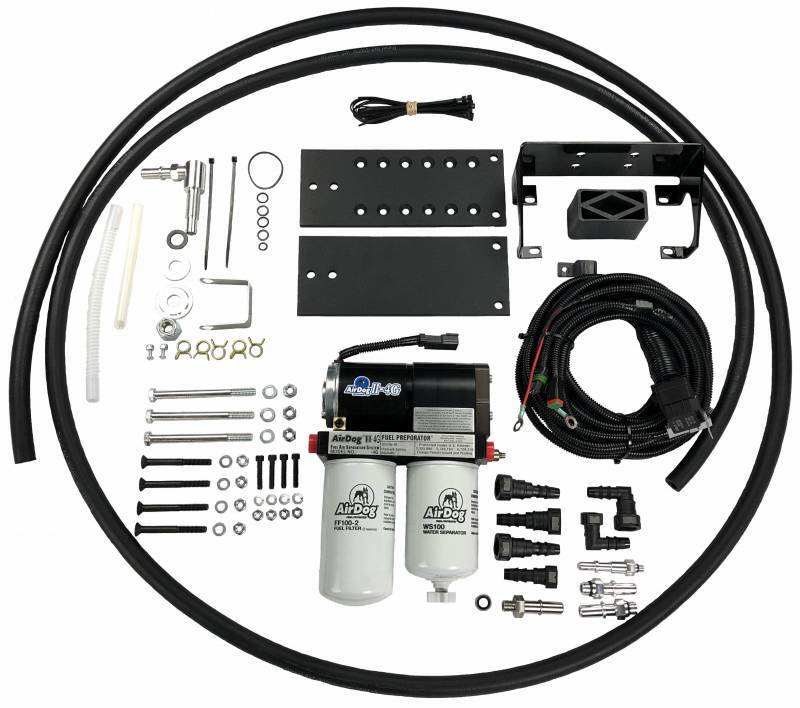 Check out our installation manual for a list of parts that are included with this kit.